Let me know if you want to meet Noel Gallagher, he's in Milan this weekend and on Monday. Italian scooters... by the way, ‎from (8-9 for journalists) 10 to 13 November, the 69th (nice number :) EICMA motorbikes exhibition (or : women exhibition :) you remember), as in the past years. My sister organizes this event again and she needs girls to work, but they must be very thin (38-40 Italian size dress). Already an event for November, so the girls (usually there are many foreign girls) can prepare to work there. And people can plan travels (I know English people who even came to Milan just for single car events). 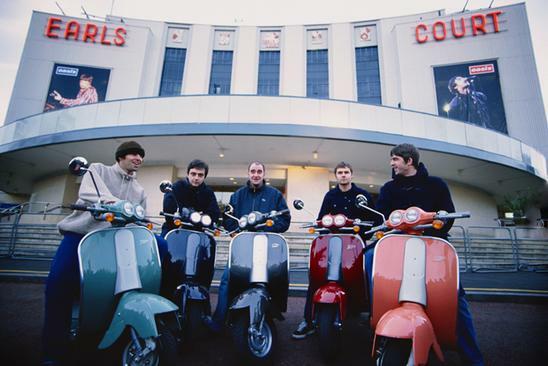 Of course there are all kinds of motorbikes, but we mods (we are mods we are mods we are we are we are mods) are especially interested in Milano Lambretta (name from the river Lambro) and Vespa, that is also in Liam Gallagher's Pretty Green shops. It's in the same place where Oasis had to perform their last concert ever (fiera Milano-Rho, Expo 2015), Oasis gig now possibly in 2015 as it had to be. Girls enter for free on Friday 11. My sister is one of the girls working there so I enter for free, so I'm a girl too, lol. Noel, what's your favourite restaurant where you live in London? [pizza & wine? pizza goes with beer...].